Chicago-based ThreadMeUp is an online custom apparel store. Currently in beta, the client tasked our team with visual redesigns to help them fully launch their site. We performed usability tests on the beta site to understand how users interact with the website and this helped us to uncover pain points with their current site. This research helped contextualize what improvements needed to be made. For this project, I was responsible for the login and signup process for their responsive site which required me to create designs for multiple devices. Our user research uncovered that the current ThreadMeUp process lacked clarity, hierarchy, cohesiveness, and trust. These conclusions helped to shape the design principles we based our redesigns on. We focused on transparency in the process for the users to understand where they were in each step of the design creation and apparel order, simplified designs to account for complicated apparel procedures, and creating an instructional aesthetic in each of the screens. Below shows the wireframes that I designed for ThreadMeUp's account dashboard. 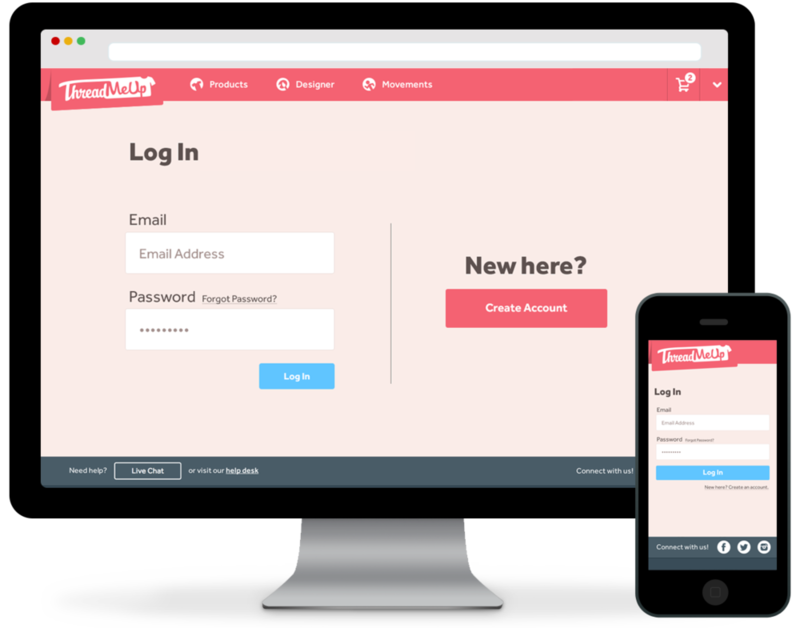 Lastly, our team also developed a desktop and mobile strategy for ThreadMeUp. Currently, users can only create designs via desktop. We had to understand the client's environment and business model to propose something effective. Given that 60% of their users visiting the website are doing so via mobile, we decided to focus our efforts on mobile designs first. Ultimately, we recommended that their "Quick Quoter" functionality be redesigned to encourage mobile users to save potential purchases for later viewing on desktop. We also suggested that they implement an instructional walkthrough of the design process on mobile and incorporate basic form fields that users could fill out on mobile and finish on desktop where they can complete their designs. OUTCOME: The ThreadMeUp team incorporated the team's redesigns into their latest release. Specifically, the wireframes I created for the Account and Dashboard view were being leveraged for their designs in further releases. © Made with ♥ by Jenn.